I know, sorry to scare you like that especially with 6 months to go before your taxes will be due next year. But we all have to pay them and they aren't as much fun as that guy in the picture looks like he's having. However, they're an important part of the full personal finance picture and are likely one of the largest expenses that most of us encounter on an annual basis. Even if it doesn't seem like it since you don't feel the bite of paying the payroll taxes since your employer withholds the money for you each paycheck. I mentioned in last weekends Weekly Roundup that I had been compiling all my pay stubs, sole proprietorship income from the blog, capital gains and losses, and qualified versus non-qualified dividends. Well all the compiling is done and everything has been put into my tax spreadsheet so I finally have a much better picture of where we stand in regards to our potential tax bill. So far this year federal income tax withholding is about 11.5% of my gross pay and throwing in Social Security and Medicare taxes on top of that brings it up to 18.5%. That's a hefty chunk of my income that I'm missing out on. So it makes sense to look for ways to minimize one of your largest expenses. Our income significantly dropped this year compared to last year since my wife quit her job in early January and I've only worked around 40% of what I normally would have so far through this year. We might hit the low end of the 25% bracket but I don't think we'll quite make it there. Part of that is due to the low oil prices which has led to a slow down in the oil field but the majority of it has been because of the battle that my son was facing. Things are normalizing now in regards to my work situation and my wife is back at work through being a substitute teacher, she was a teacher before and plans to go back to full time teaching next school year. We're in a unique situation that I didn't expect to find us in. Due to the large drop in income we should finish the year in the 15% tax bracket rather than the 28% bracket we've been in the previous two years. That opens up some options that I'm considering in regards to our portfolio/tax management. One common way to reduce taxes for those that itemize deductions is to pay your property taxes in the same year if your other itemized deductions don't push you up over the standard deduction limit. Our property taxes are due on February 1 of each year and you play a bit of tax arbitrage when it comes to your tax return depending on the timing of your payments. Even though the taxes aren't due until February 1st in the eyes of the IRS it matters when you paid them. We paid our 2014 taxes in late January 2015 and I could pay our 2015 taxes before the end of this year to increase our itemized deductions and get a larger tax break for 2015 income taxes. However, that option doesn't seem too good since we're already expecting a refund, our itemized deductions already exceed the standard deduction without double paying our property taxes, and we're in a lower tax bracket this year than where we should normally be at when we're both working. So that option is scratched since we can get a bigger benefit in the coming years. The ones that really interest me are in regards to the investment taxes. The drop down to the 15% tax bracket also lowers our short term capital gains tax to 15%, long term capital gains tax to 0%, and qualified dividends to 0%. Compared to the 28% short term capital gains, 15% long term capital gains, and 15% qualified dividends that's a huge break compared to a normal financial year for us. There's really nothing to do on the qualified dividends side since they are getting taxed at 0% but that's a nice bonus to see since that's 15% more of that passive income that I get to keep. What I'm more interested in regards the capital gains. Based on the sales that I've made this year we're currently sitting on a net short term loss of $730.04 with net long term gains of $3,294.13, $3,165 of that is from the Medtronic (MDT) restructuring. The IRS allows you to write off capital losses of capital gains of the same kind first, i.e. short term capital loss can be used to reduce your short term capital gains and the same with long term. Then if there's still a net loss for one of those you can use that reduce gains of the other kind. Since we're currently sitting at a net $730.04 short term loss and a $3,294.13 long term gain that further reduces our net gain to $2,564.09 left as long term gains being taxed at 0%. So for this year it would make sense to try and maximize our long term gains due to the favorable 0% tax rate compared to the 15% I'd expect us to have to pay in most years. In a normal year I would lean towards maximizing our tax losses, especially short term losses, up to the $3,000 limit. Now I don't normally want to make changes to my portfolio due to tax reasons but it's quite tempting this year. One option is to look at positions that I have a long term capital gain in but don't necessarily know if I'll hold the position for the long term. Here's the potential candidates. Bank of America is the probably the best candidate to sell and harvest those gains at the low 0% capital gains rate. The problem with selling BAC now is that I think there's still a lot more upside for the stock but it could still take 3-5 years to realize that. I don't plan to hold the company long term but it has delivered a solid return for the time that I've owned it. There's still dividend increases to come once the regulators allow and large increases should lead to more capital gains in the future. The issue though is weighing whether the stock will realize those gains and over what time and will the additional gains outweigh the 15% capital gains tax that I'll have to pay in the future when I do sell. I'm leaning more towards not selling my BAC position right now because I think the gains over the short to medium term will overcome the increase in the taxes owed, although I'll have to crunch some numbers to get better projections. The other two, EOG Resources and ConocoPhillips, are currently very small positions and are both pure exploration companies. I prefer to own the upstream and downstream side of the O&G sector with the integrated majors. The big issue with selling now is that oil continues to be very cheap which is a drag on the valuations of these two companies. EOG Resources is the most likely candidate for outright sale with ConocoPhillips in the consider pile, although I'm leaning more towards holding COP long term. I wouldn't be able to do this for all of the positions but I could possibly do so for some of them totaling in the neighborhood of $3-6k. The last option that I have is to look at my employer shares that were acquired through the employee stock purchase plan (ESPP). The following table breaks down the different lots that I have and the current unrealized gains. These aren't 100% the gains that I would owe taxes on if I sold at yesterday's closing price because with ESPP plans a portion of the gains are taxed as income but it's a good ball park number to see if there's any options here. As you can see my long term positions are currently sitting on losses thanks to being purchased when oil was trading over $100 per barrel. So the long term holdings are likely relegated to being sold once the price of oil returns to higher prices. This doesn't exclude the short term holdings from being an option though since I'm still sitting on an extra $730.04 of net short term losses. I could use my short term gains from my ESPP shares to cancel some of my short term losses which would in effect raise my long term capital gains since they are currently being offset by the excess net short term losses. This option does intrigue me but more number crunching will be needed because I expect us to be rather close to the tax bracket limit which would negate the strategy of reducing taxes. Since some of the gains from ESPP shares are considered income a closer examination will be needed before I decide to pursue this route. 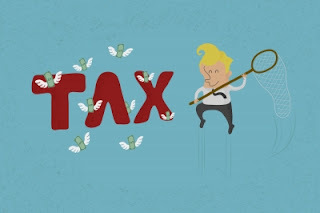 You can check out the ESPP taxation method in this post. A big potential wrench in the works would be my employer paying me a lump sum that they owe me. They agreed with the Department of Labor that several positions were mis-classified as being exempt from overtime but the DoL said no. The settlement works out to an average payment around $17k per person which would throw us up into the 25% tax bracket and thus increase our short and long term capital gains rates as well as our dividend tax rate. I haven't heard anything from my company yet regarding the payment so more homework is needed here to determine when/if/how much I could potentially receive. I'm contemplating doing all three of the options or at least a part of them. I'd put them in order of Option 3, Option 2, and Option 1 for my likely progression but need to do more research and number crunching across all three choices to determine the best one to pursue. Of course this all lies on whether I get that lump sum payment as well because I don't want to go through this and end up paying higher taxes because I thought we would be in a lower tax bracket. Although we'd still be in a lower tax bracket, 25% bracket, compared to a normal year so there'd still be some tax arbitrage to take advantage of, just not nearly as much as if we end up in the 15% bracket. Do you know where you tax situation currently stands? Do you let taxes guide any investment decisions? Or just let it be one more piece to the puzzle? The thing is that people who have assets ( "rich people") can manage their "income". So by harvesting all your capital losses, you may even be able to lower your taxable rate ever further. I am not sure if you have any taxable IRA accounts or old 401 (k) accounts. If you do, you might find it helpful to roll them over to a Roth while your income is still low. This comment of course is not a recommendation for you to act on. Thanks for the reminder about that. I have a small rollover IRA that I could rollover to a Roth with my currently low expected tax bracket. I was focusing more on capital gains/losses and forgot about the IRA possibilities. I'll have to run the numbers on that situation as well to see where it puts us. One other bonus to the lower income this year is that I'll be able to contribute to my Roth IRA again which is great. I don't mind taxes but the complexity of the tax code is ridiculous. I also forgot to mention that I increased my 401k contribution. I only bumped it up an additional 1% buy it'll help out a little and I might raise it up more if it will keep us in the 15% bracket. I just wish there was more time left in the year to figure things out. That's why I like to stay up to date on our tax situation in normal years because it makes planning a heck of a lot easier. I am a W2 employee but also receive income as an independent contractor from a variety of sources (as an atty and insurance broker). As I rule, I take out 25% of all other income I earn and put it in a sacred separate savings account (earning at 1%, better than nothing!). I do not touch it, unless it is to add to my HSA. I started doing this because I did not want to panic when I had to file my taxes and I had no money to pay the IRS. It is so annoying that that account has more money than my savings, but I still won't touch it. I do not want to be crying when the IRS comes knocking. I have been doing this for 3 years now and what has happened is that I often give refunds to myself. If I owe taxes, I have money to pay them. But, because I have over-calculated the taxes owed, I divide the rest of the founds 4 ways: 1. fun refund to myself for some purchase I have been wanting to make, 2. contribution to HSA, IRA and Roth, 3. debt payment 4. and contribution to emergency fund/savings. I start the year in good shape in terms of contributions to Roth, IRA and HSA and I have some new toy and/or experience I wanted. I am still a novice when it comes to investing and tax loss harvesting (no real experience in the latter). I do not yet know my tax bracket. As with you, my previous employer owes me some money and I do not know when he will pay. Thank you for posting this tax article, I look forward to learning more! I definitely will look into an assessment of my investments one of these weekends to see if there are any possibilities.